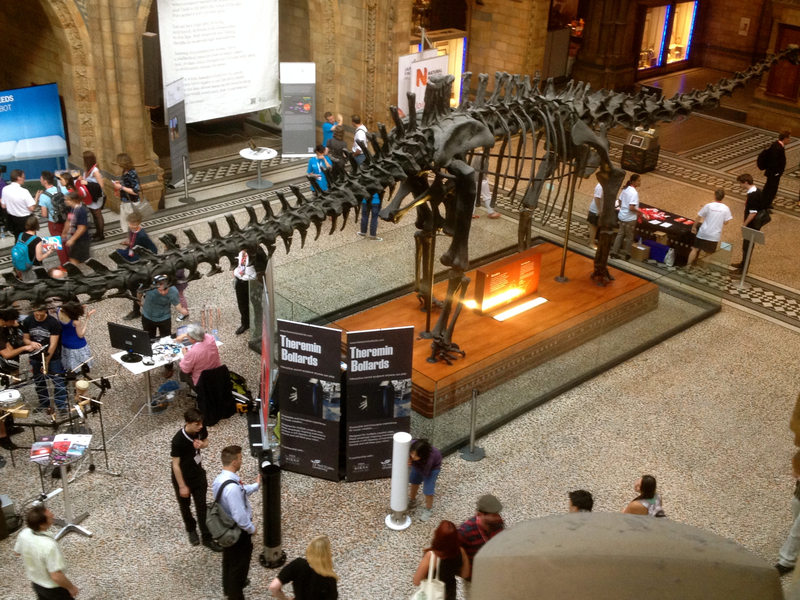 The Natural History Museum in London is another world famous space, which being invited to exhibit was a huge honour, especially when we discovered we would be installing the Theremin Bollards under Dippy the Dinosaur and in the Attenborough suite. We made a film to document the experience and to demonstrate what Theremin Bollards are and to capture peoples reaction to them. Please give the video a watch as this demonstrates all the many levels Theremin Bollards has and the great fun people have when playing on them.